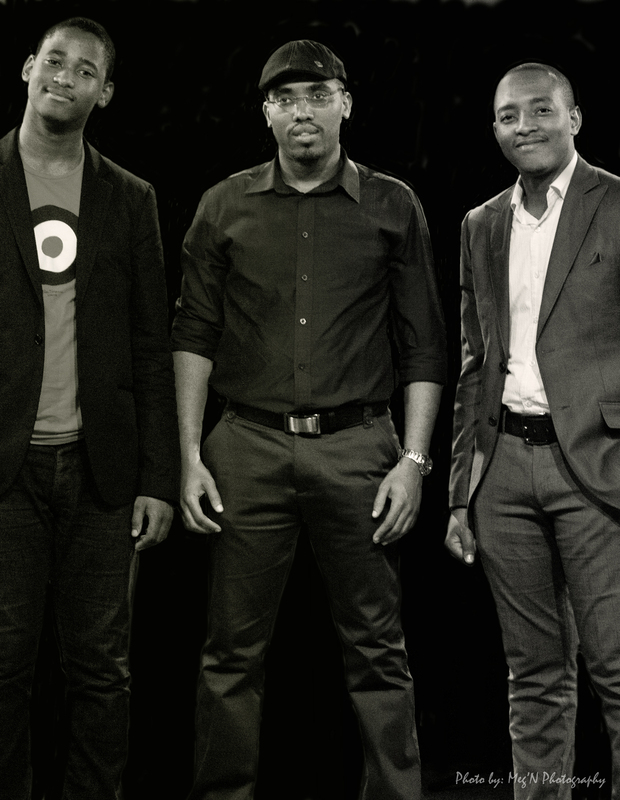 Africa Plus is an eclectic and innovative jazz trio based in Durban, South Africa and comprising of Lungelo Ngcobo on piano, Prince Bulo on bass and Sphelelo Mazibuko on drums. The members include young musicians who were formally trained at UKZN and are highly sought after in South Africa as well as internationally. Combined, the members of Africa Plus have toured extensively in countries such as USA, Canada, Bolivia, Argentina, France, India, Mozambique, DRC, Swaziland and South Africa to mention a few. They draw musical influence from rich traditional African elements with a base drawn from Western advanced harmonies. A vibrant outfit full of rhythmic complexities and melodies with a program that includes mainly original music composed by the band. Other material includes renditions of African standards celebrating some of the great musicians of South Africa as well as arrangements of popular covers from around the world. The goal is to educate both musicians from South Africa as well as those from abroad about our diverse culture through music yet keeping. Next Post 2014 SAHHA (SA HIP HOP AWARDS) Nominees.